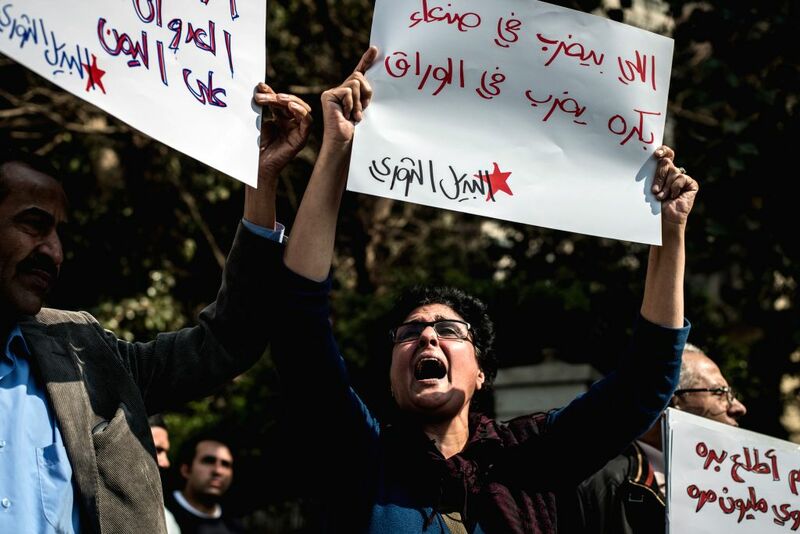 CAIRO, April 4, 2015 - Protesters gather in front of the embassy of Saudi Arabia to protest Saudi Arabia-led airstrikes on Yemen in Cairo, capital of Egypt, April 4, 2015. Around two dozens of Yemeni and Egyptian activists held banners and shouted slogans here on Saturday to protest Saudi Arabia-led coalition's continuous airstrikes on Yemen. 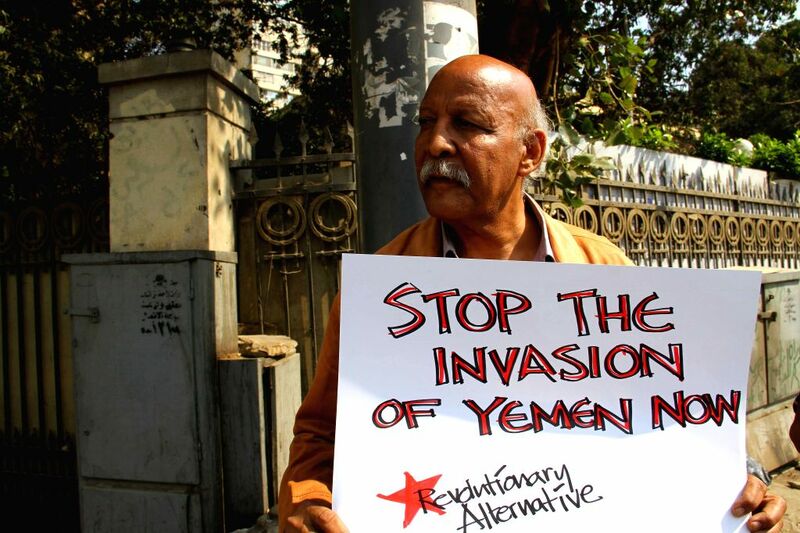 A man stands in front of the embassy of Saudi Arabia to protest Saudi Arabia-led airstrikes on Yemen in Cairo, capital of Egypt, April 4, 2015.